In the Sixth Form, freedom and responsibility go hand in hand. In choosing to stay in full time education, it is assumed you will want to work hard. High standards of commitment are expected, as are punctuality, courtesy and respect for the needs of others. The Head of Sixth Form and the Sixth Form Management Team monitor the progress of every individual very closely, reinforcing success through the Merit and Commendation system, while also putting in place extra supporting mechanisms if necessary. 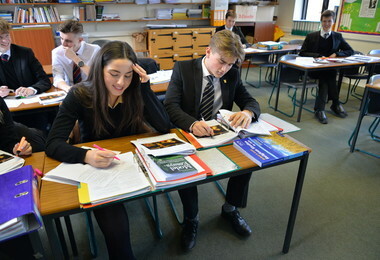 The team is headed by Mrs Linda Dickinson (Head of Sixth Form), Mr Alex Swart-Wilson (Assistant Head of Sixth Form) and Mrs Jenny Marshall (Assitant Head of Sixth Form). The style of teaching in the Sixth Form at Bishop’s Stortford College is different. Working in small groups, you will be encouraged to read beyond the curriculum, to work and think independently and be self disciplined in your study - essential skills for success at university and beyond. We recommend all Sixth Formers to take on some form of Independent Research Project during their time here. Study skills training is provided through our tutorial system to help you adapt to the new way of working. Academic standards are high, as our consistently strong track record at A Level indicates. The highly committed teaching staff are passionate about their subjects and will work hard with you to achieve the highest possible standards. Lower Sixth Formers enjoy a two-day Leadership Course in the Summer Term as preparation for their final year, when House responsibilities increase. Read about the latest Leadership Course here. The Sixth Form is a very fast moving and exciting experience. You may be feeling both enthusiastic and rather daunted at the prospect. This is quite natural and whilst we promote greater independence, you are certainly not expected to achieve this unaided. The Tutorial structure is absolutely central to the success of our Sixth Formers. Tutor groups are small, mixed and academically based – you will be working with others doing similar courses and your tutor will usually be a subject specialist (often a Head of Department) who is linked to your A level subject choices. 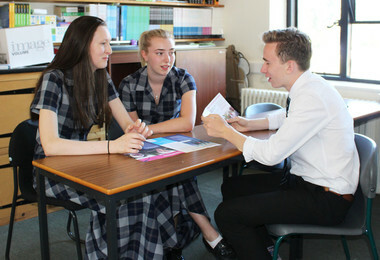 With both Upper and Lower Sixth Formers in tutor groups, peer guidance is a central feature. Very close relationships are developed which allows informed and knowledgeable guidance and support to be offered to every individual’s academic progress. The Learning Support Department provides specialist one-to-one teaching and support to pupils with specific learning needs. The ethos of the department is to promote a sense of self-worth combined with high but realistic expectations, thus encouraging pupils to be proactive in their learning, to give of their best and achieve their potential. The House system is one of the oldest traditions at Bishop’s Stortford College and forms a major part of life for all year groups and also the teaching staff. The House will be a focal point of your time: it is where you keep all your belongings and spend most of your free time, where you will have your own space to relax or work, and is the basis of many fiercely fought competitions! Your Tutor and your Housemaster or Housemistress will be the people who will get to know you best. Together they will oversee your progress from settling in on your first day as a new Sixth Former to collecting your Leavers’ Certificate on Speech Day as a confident adult ready to move on to an exciting future.